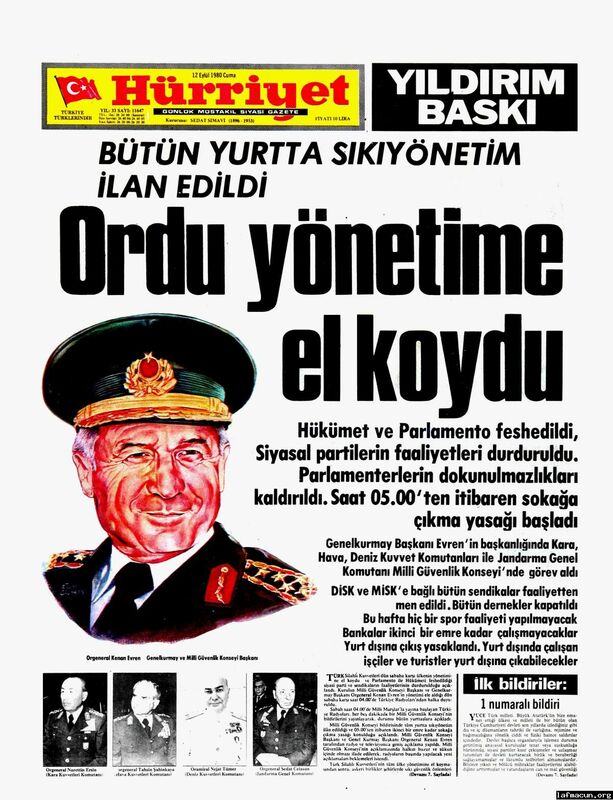 In September 12, 1980, Kenan Evren, the head of the armed forces, announced that he over threw the government, abolished all the worker’s unions and closed all democratic institutions. After the military coup, thousands of intellectuals, politicians, artists and workers were prisoned, tortured, forced to migrate or escape the country. In June 1982, he was elected as the 7th president of Turkey with overwhelming voter support. The new antidemocratic constitution was also approved, many of its articles are still in place today. During the 1980s all aspects of intellectual life were highly regulated. 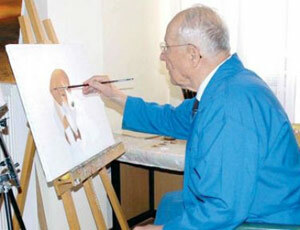 Evren periodically made remarks about art and culture and appeared in exhibition openings. Once he infamously commented on Picasso’s painting claiming that he could easily paint like him. 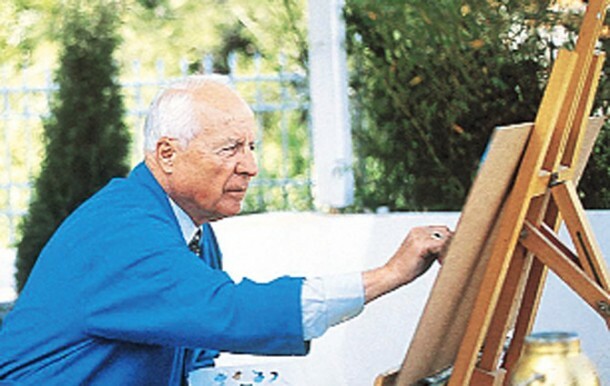 When he was retired from his presidential post in 1989, he moved to a seaside town Armutalan, Marmaris and started to paint to fulfill his long time goal. He periodically showed his work in one person exhibitions. In 1993 he opened an exhibition at prominent Aksanat Gallery complemented with a well made catalogue. Collectors, prominent political figures and media showed a keen interest about his work. Corporations such as Sabanci and Koc holding, prominent industrialist families, collected his paintings, paying top dollars in public auctions. Perhaps as the most prominent figure in recent Turkish history, I was intrigued by not only by his passion for painting, but also the continuous public interest about his work. I decided to interview him about his work. 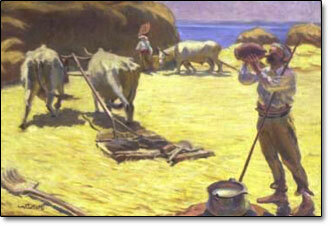 As a painter his subject matter varied from nudes to horses, from landscapes to nature-mortes. I was very curious about the way he thinks and executes his work. I had many questions. On December 9th, 2005 I called the Marmaris municipality secretary in order to reach Kenan Evren’s house. After numerous phone calls, I reached the head of public relations. She understood my desire to reach him and gave me the number of Kenan Evren’s executive assistant. When I called, he suggested that I should write an official letter and fax them right away. In my letter, I mentioned my scholarly work and my professional affiliation with the New Museum of Contemporary Art, New York. I indicated that my interview would be on purely aesthetic grounds. 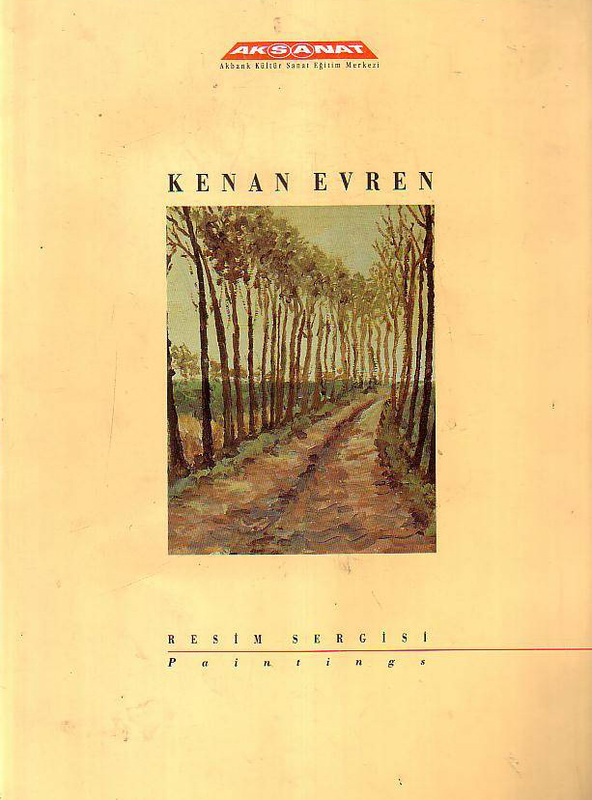 He talked with Kenan Evren and suggested that I come to the town next week, but he underlined that he did not make any promise, Evren apparently was a peculiar person. Two days later, I went to Marmaris and called his assistant. He said Kenan Evren was not feeling well. I called the next day emphasizing that I came to Marmaris all the way from Ankara with my camera equipment and I would definitely like to talk to him. He was kind, talked to Kenan Evren once again, but he declined, saying that it was simply not a good time. There were many political events going on involving him.